Happy is what I am... a total happy, jumpy and bouncy one!!! why? 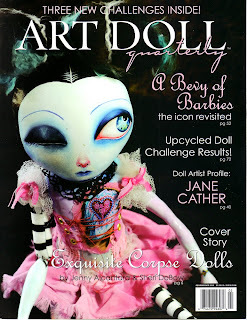 ... because today I received my copy of ART DOLL QUARTERLY for their edition of spring 2010 and a couple of my dolls are on it!!! 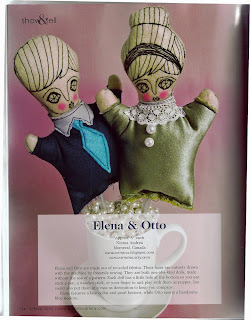 (Otto and Elena) Oh they look so cute!!!! and I´m right now dancing in my living room with the magazine in my hands... and with a big smile in my face!!!! Feliz, así mismito me siento hoy... totalmente feliz... brinco, voy, vengo!!!! porqué?... 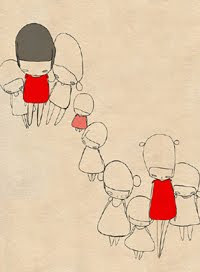 pues porque hoy recibí mi copia de la revista ART DOLL QUARTERLY en su edición primavera 2010 y un par de mis muñecas fueron publicadas!!! (Otto y Elena) Ay se ven tan lindas!!!! y justo ahorita ando bailando como loquita en mi sala con la revista en mis manos... y con una gran sonrisa en mi cara!!! !